The Pearl suit ticks all the boxes as a ceremony suit - light colour, lightweight and slim-fit. 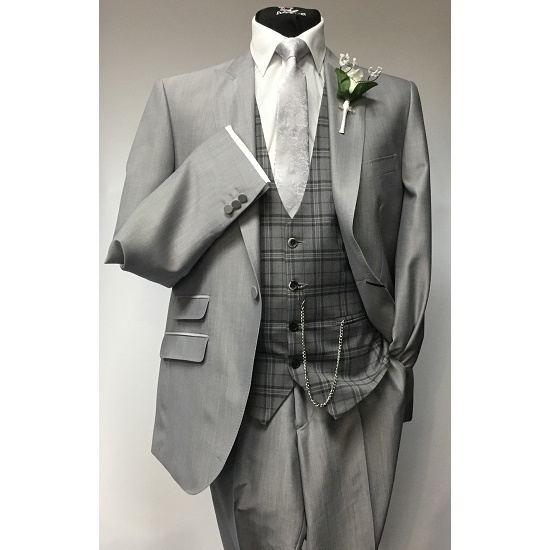 Shown here with the contrasting Henry grey waistcoat and a silver patterned tie the Pearl is exactly that, pearl grey in a wool and mohair mix. It's also available as a full three-piece suit with it's own matching waistcoat.